Amy is an Investment Adviser Representative with Commonwealth Financial Network® and holds FINRA Series 6, 7, 26, 63, and 66 securities registrations. Amy is an Accredited Investment Fiduciary®certified through fi360. As an AIF® designee, she acts as an advisor to employer-sponsored retirement plans. Amy is also a Certified Long-Term Care specialist. Her holistic focus on wealth management and life planning helps people feel more confident in their financial futures. She graduated from Pacific Lutheran University with majors in English, social work, and Spanish. 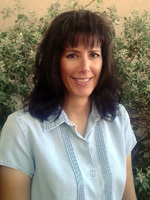 Although Amy lives in Tucson now, she enjoys traveling and has lived in many countries throughout the world. She enjoys learning about different cultures, languages, and people. In her spare time, she enjoys cycling, yoga, swimming, and volunteering. Her true joy in life is treasuring time with family, friends, and her beloved dogs. Mark is a CERTIFIED FINANCIAL PLANNER™ professional and holds FINRA Series 6, 7, 26, 63, and 65 securities registrations. He is an Investment Adviser Representative of Commonwealth Financial Network®. As an owner of A&M Desert Financial Services, based in Tucson, Arizona, Mark has enjoyed working with clients to prepare them for life’s financial challenges for more than 28 years. He creates financial plans to use as guides for retirement, education, and estate planning and helps with investment management and wealth management. Raised on a dairy farm in Nebraska, Mark inherited a great work ethic. He graduated from the University of Nebraska at Kearney with majors in business and computer science. 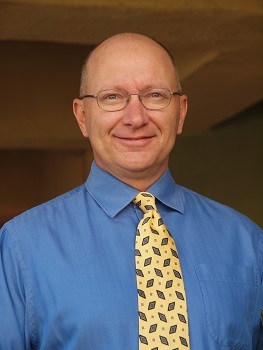 Mark moved to Tucson in 1986 and has worked in the financial services world since then. He and his wife, Cyndi, have two wonderful and bright children, Quinn and Kelsey. Mark enjoys spending time outdoors with his family, traveling, and golfing with friends. He is an avid University of Arizona fan, attending football, basketball, and softball games. Heidi is an administrative assistant to Mark and Amy. Her 25-year work history includes leadership roles in retail, property, and restaurant management and ultimately ownership of her own franchised restaurant, which was one of the top sales volume units in the entire chain. Her successes can be directly attributed to the strong emphasis she places on specializing in customer service. Heidi learned her loyalty, strong work ethic, and integrity from her loving and hard-working parents. She graduated with a BS from Northern Arizona University. 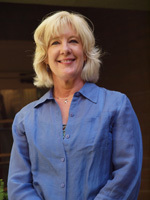 Heidi has been a resident of Tucson since 1992 when she moved here with her husband, John. She values her time with family and friends. In her spare time, she enjoys cooking, baking, and traveling. Heidi starts and ends every day with extreme joy by playing Frisbee with her two dogs. AIF® designees have acquired a thorough knowledge of fiduciary responsibility; a fiduciary is required by law to always act in the best interest of his or her client, beneficiary, or retirement plan participant. AIF®designees have successfully completed a program on investment fiduciary standards of care at the Center for Fiduciary Studies and have passed a comprehensive examination of the 27 Prudent Investment Practices. Designees are also required to adhere to continuing professional education requirements, which keep them abreast of recent events in the industry that affect every fiduciary. When selecting a financial planner, you need to feel confident that the person you choose to help you plan for your future is competent and ethical. Many people believe that all financial planners are certified, but this isn’t true. Only those who have fulfilled the certification and renewal requirements of the CFP Board can use the CERTIFIED FINANCIAL PLANNER™ certification.